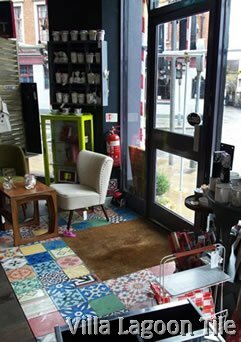 We have had many orders since the BBC1 showed our tile in one of their house make-over TV , or telly, shows. 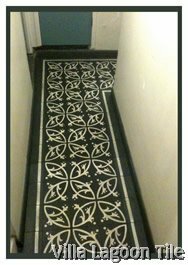 Kate Law sent us a photo of her newly laid cement tile floor while the space was being renovated. She also sent a couple of installation photos which are interesting. 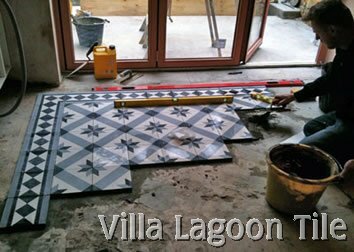 You can see Kate Law's installer using his level to ck for lippage during tile setting in London. 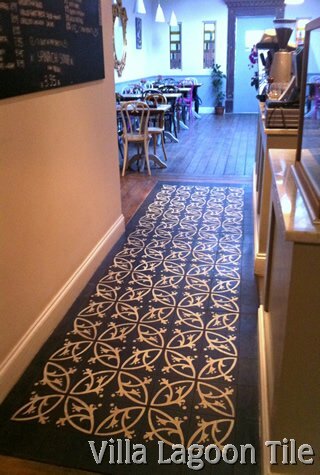 The Blue Legume café, restaurant and juice bar in London, above. 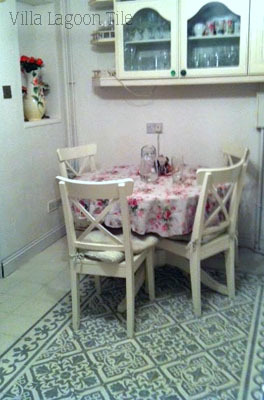 Stoke Newington, London N16 0UD. 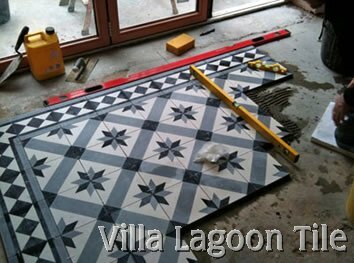 The BBC used our Patchwork Tiles in an episode of DIY-SOS The Big Build, above. 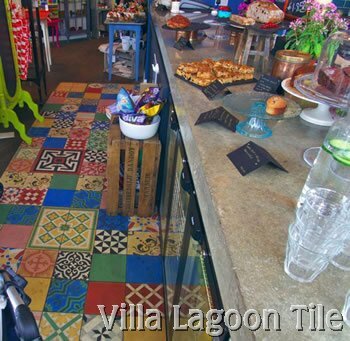 The Chester Zoo used our Patchwork Tiles at their Fish and Chips shop, above. 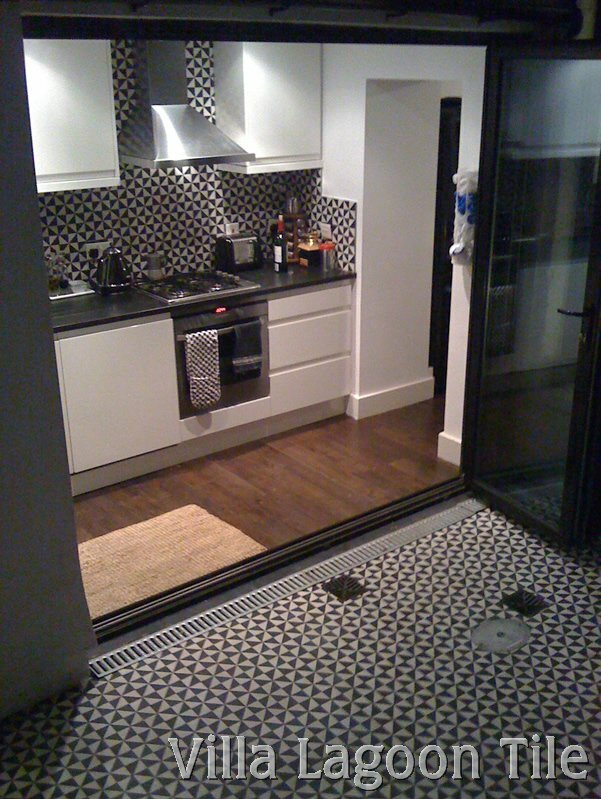 This charming kitchen in London makes best use of a small space with a stylish and crisp black and white theme. The patio blends beautifully with the kitchen decor seamlessly blending the spaces. 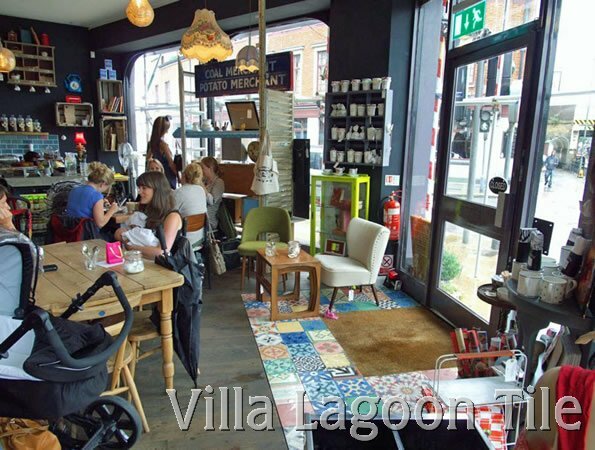 Lavish Habit, 75 Bedford Hill, London, SW12 9HA...Sisters Nicola and Vanessa Karan opened their dream cafe and vintage shop in 2011 (opposite that Balham landmark, The Bedford) and it's proved a huge hit with locals. 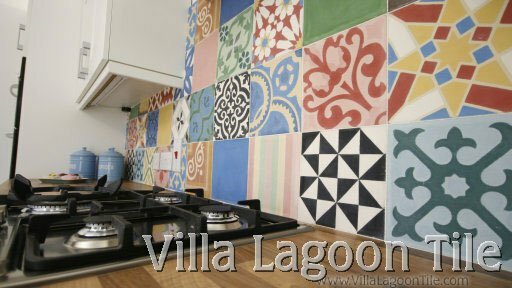 We have supplied our cement tile to Wales, Ireland, and England. The photo sent to us is a bit fuzzy but you can get the idea. 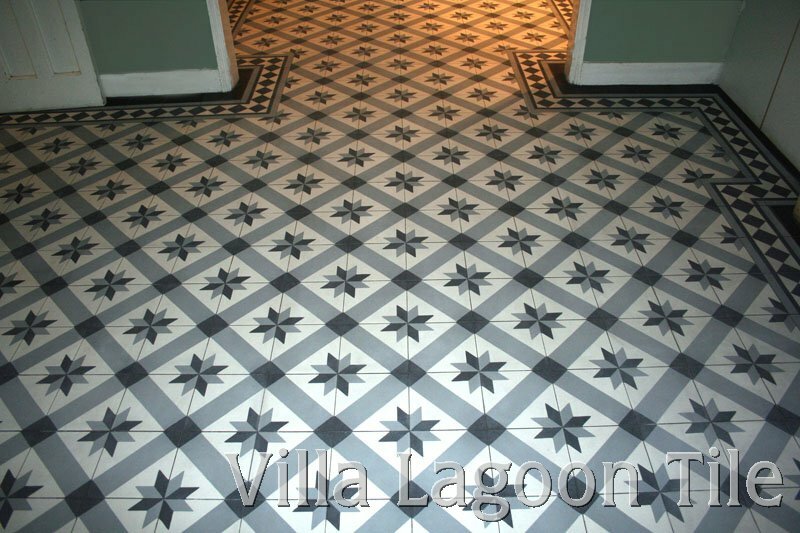 We made our popular New Castle tile for them in two shades of gray. 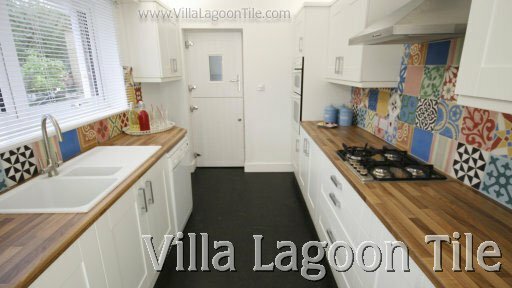 As you can see it certainly adds charm to the small kitchen. 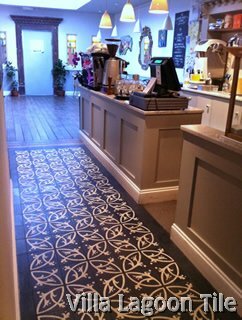 Check your local Revolution Bar as they have our tile in many of their locations throughout England.